Send Mom soothing teas and tasty treats packaged in an adorable graphic patterned tote. 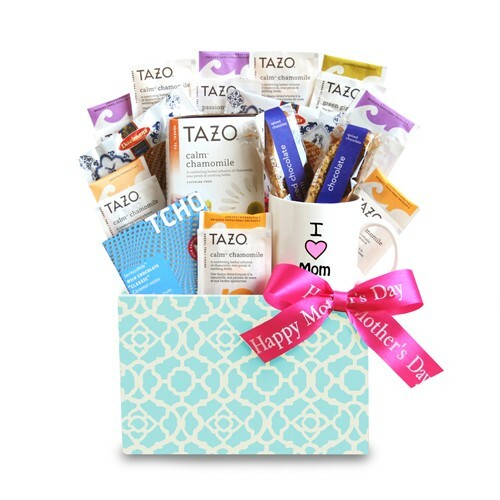 This bright and cheery gift comes with an "I Love Mom" mug, assorted Tazo teas, VIA iced coffee to go gift packets, a delicious TCHO milk chocolate bar, 2 caramel wafer cookies, 2 chocolate biscotti and Walker's shortbread cookies. Mom will love this thoughtful gift!